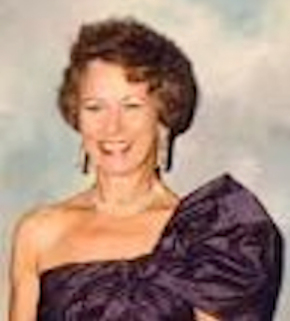 Obituary – Voise, Mayme Lou (Cantrell) « Perry High School Alumni Association, Inc. Band Queen Attendant 52-53, D.E. 53-54, D.E. Secretary 53-54, Class Secretary 53-54, Home Room Secretary 54-55. Mayme Lou Voise, 76, of Bedford passed peacefully on Tuesday, Oct. 28, 2014, with her family by her side. Service: 4 p.m. Thursday, Nov. 6, at Calvary Lutheran Church in Fort Worth, and 2 p.m. Saturday, Nov. 8, at First United Methodist Church in Perry, Okla.
Memorials: Instead of flowers, the family requests that donations be made to the National Parkinson Foundation, or your local ASPCA. Mayme had been living with Parkinson’s disease for several years. She was born in Clayton, N.M., Jan. 26, 1938, to Mary and James Cantrell. 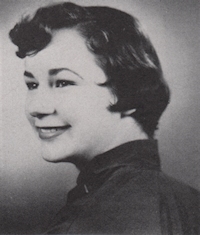 Mayme graduated from Perry High School, class of 1955, and married Roland Voise in 1956. She was an avid runner, tremendous cook, breast cancer survivor, loving mother and doting grandmother. Mayme owned and managed rental properties for over 35 years, retiring in 2010. She was passionate about her work. Survivors: Children, Kevin Voise of Arlington, Philip Voise of Haltom City and Amber Riley of Mansfield; grandchildren, Jocelyn Spraggins of Austin, Arielle Spraggins of Lawton, Okla., Connor Riley of Mansfield, and Haley Riley of Arlington. Mayme has two surviving sisters, Mary Inselman and Doris Beckham, both of Perry, Okla.; and many nieces and nephews.